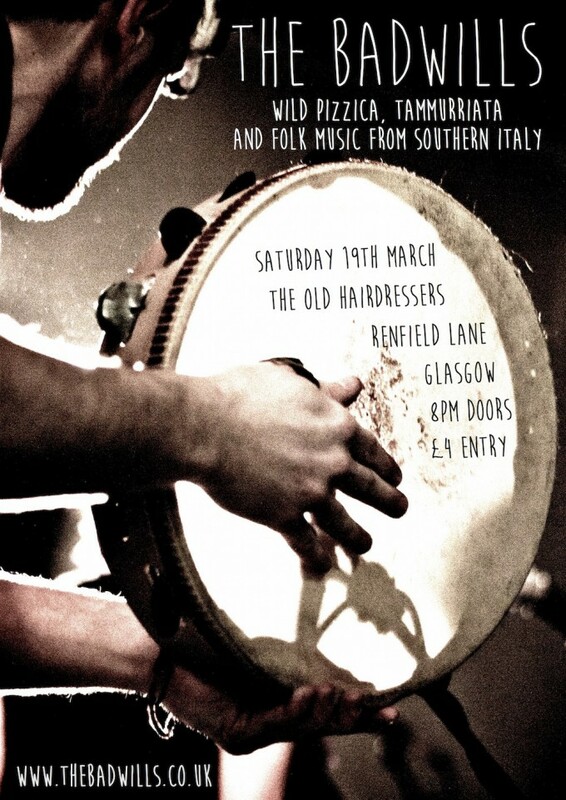 It has been a wee while since we have ventured across the belt to Glasgow, but we are excited to be heading to there on the 19th of March, with tambourines in tow. We will be playing at The Old Hairdressers, right in the centre of town, in Renfield Lane. It is a great wee venue, so bring your spider stomping shoes and see you all there!